BioErgonomicsTM combines the scientific principles of ergonomics and biomechanics to identify and eliminate risk factors for injury. We developed this process because ergonomics alone is not good enough. Ergonomic evaluations and adjustments will allow for and create the perfect environment for proper biomechanics to occur. However, it does not guarantee that the worker will demonstrate proper biomechanical work behavior. All individuals, healthy or unhealthy have specific biomechanical patterns. 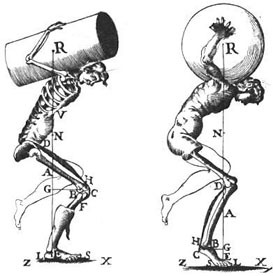 Demonstrating poor biomechanics on repetitive motion or over-exertion job tasks can lead to serious long term injury. It is imperative to correct the workers biomechanical patterns in conjunction with proper ergonomic design of the work environment. 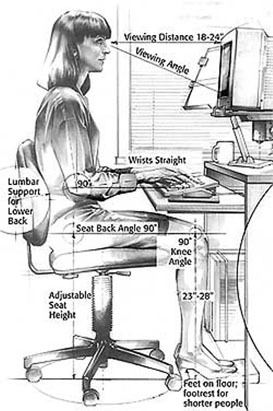 Ergonomics comes from the Greek word meaning work laws. It is the science of enhancing interaction between humans, machines, and the work environment so that work can be done comfortably, safe and efficient. Biomechanics is the study of mechanical and physical motion of the human body, more specifically, musculoskeletal response to internal or external forces. Ergonomics and biomechanics work together as a way to reduce repetitive strain injuries such as carpal tunnel syndrome, tendinitis, and lower back injuries. Thus this method can lower a company's absentee rate, prevent minor complaints from becoming huge claims, ensure safe work, and increase productivity. Click here to view our ergonomic brochure.